Prior to diving, all passengers must complete a medical questionnaire as some medical conditions or medications may prevent you from participating in scuba diving activities. The form below can show you an indication as to which medical condition that may prevent you from participating. 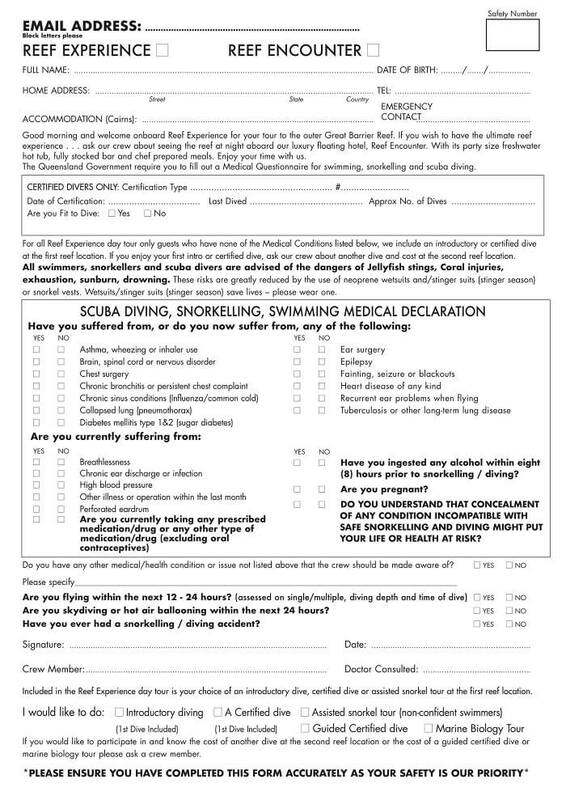 Answering “yes” to any questions on the below medical form may not necessarily mean you cannot dive; however, it does mean that you may need further assessment by a licensed dive doctor. For any medical concerns, please contact us prior to your trip to avoid any disappointment on the day.